We are a highly specialized Physical Commodity Trader of both Crude Oil, its by-products and Global Financial Instruments. Our accumulation of knowledge in trading commodities combined with our extensive background in the global financial sector and the procurement of excellent relationships with our direct suppliers and buyers, brings very valuable market experience to benefit all transactions in ensuring their successful conclusion. BCMGLOBAL TRADER is a master limited partnership engaged in the wholesale and commercial distribution of refined petroleum products, and provides ancillary services to companies domestically and internationally. The Company’s business is divided into two segments: Wholesale and Commercial. The Wholesale segment includes sales of gasoline, distillates and residual oil to resellers of transportation fuels, home heating oil retailers and wholesale distributors. The Commercial segment includes sales of unbranded gasoline, home heating oil, diesel, kerosene and residual oil to customers in the public sector and to large commercial and industrial customers, primarily either through a competitive bidding process or through contracts of various terms. This segment also purchases, custom blends, sells and delivers bunker fuel and diesel to cruise ships, bulk carriers and fishing fleets generally by barges. Partnership has three wholly owned operating subsidiaries, The Company’s operations and activities are managed by its general partner, BCM. 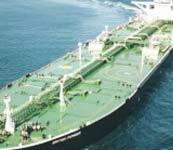 The Partnership sells Crude Oil, D2 Diesel Fuel, Jet Fuel, Mazut and Rebco. The Company sells grades of unbranded gasoline. It sells conventional gasoline and ethanol blended gasoline in the markets that require such products. The Company specially blends residual oil for users in accordance with their individual power plant specifications. Crude oil and oil products such as fuel oil, gasoline, diesel D2 fuel, jet fuel, rebco, liquified petroleum gas and mazut are physically marketed through BCM's commodity sales departments. To support the activities of these departments, BCM companies holds ownership interests, both directly and indirectly, in several strategically located oil refining operations as well as a diversified portfolio of oil producing assets. BCM companies' supplies are acquired in part through product produced from its oil pits, long-term contracts from key-producing countries, as well as by traditional short and medium-term purchase agreements. BCM and its subsidiaries deliver to a variety of customers, including the major and medium sized oil companies, Government purchasing agencies and industrial end-users. 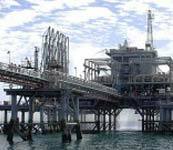 Oil and Gas activities are handled primarily by BCM offices in Montreal,quebec . What is Jet Fuel? 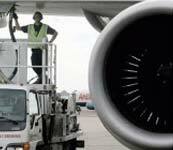 Jet fuel is a type of aviation fuel designed for use in aircraft powered by gas-turbine engines. It is clear to straw colored. The most common fuels are Jet A and Jet A-1 which are produced to an internationally standardized set of specifications. The only other Jet fuel that is commonly used in civilian turbine engine-powered aviation is called Jet B and is used for its enhanced cold-weather performance. 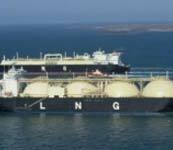 What is LNG? Lique fied natural gas or LNG islique fied gas that has been converted temporarily to liquid form for ease of storage or transport. LNG is principally used for transporting natural gas to markets, where it is regasified and distributed as pipeline natural gas. LNG offers an energy density comparable to petrol and diesel fuels and produces less pollution. What is Mazut? Mazut is a heavy, low quality fuel oil, used in generating plants and similar applications. When blended the end product is Diesel. Heavy crude oils provide an interesting situation for the economics of petroleum development. What is Fuel Oil? Fuel oil is a fraction obtained from petroleum distillation, either as a distillate or a residue. Broadly speaking, fuel oil is any liquid petroleum product that is burned in a furnace or boiler for the generation of heat or used in an engine for the generation of power, except oils having a ash point of approximately 40 °C and oils burned in cotton or wool-wick burners. Water soluble acids and alkalais Abs. NDNCA/IMFPA – Warning Letter signed and sealed. Seller sends Draft Contract and Attestation Letter to Buyer. Buyer signs, seals and returns Contract. Verification of ownership tittle and verification of funds will be operated with only top prime bank of both parties. Seller issues FULL POP, shipping document and Final Contract. When commercial traders enter into a contract for the purchase and sale of goods, they are free to negotiate specific terms of their contract. These terms include the price, quantity, and characteristics of the goods. Every international contract will also contain what is referred to as an Incoterm (international commercial term). The Incoterm selected by the parties to the transaction will determine which party pays the cost of each segment of transport, who is responsible for loading & unloading of goods, and who bears the risk of loss at any given point during a given international shipment. Incoterms also influence Customs valuation basis of imported merchandise. Incoterms are overseen and administered by the International Chamber of Commerce in Paris and are adhered to by the major trading nations of the world. There are currently 13 Incoterms in use, and they can be considered on the basis cited above. The seller (exporter) makes the goods available to the buyer (importer) at the seller's premises. The buyer is responsible for all transportation costs, duties, and insurance, and accepts risk of loss of goods immediately after the goods are purchased and placed outside the factory door. The ExWorks price does not include the price of loading goods onto a truck or vessel, and no allowance is made for clearing customs. If FOB is the Customs valuation basis of the goods in the country of destination, the transportation and insurance costs from the seller's premises to the port of export must be added to the ExWorks price. The seller (exporter) clears the goods for export and delivers them to the carrier and place specified by the buyer. If the place chosen is the seller's place of business, the seller must load the goods onto the transport vehicle; otherwise, the buyer is responsible for loading the goods. Buyer assumes ownership/risk of loss from that point forward and must pay for all costs associated with transporting the goods to the final destination. The seller transports the goods from his place of business, clears the goods for export and places them alongside the vessel at the port of export, where the transfer of ownership and risk of loss shift to the buyer The buyer is responsible for loading the goods onto the vessel (unless specified otherwise) and for paying all costs involved in shipping the goods to the final destination. The seller (exporter) is responsible for delivering the goods from his place of business and loading them onto the vessel of at the port of export as well as clearing customs in the country of export. As soon as the goods cross the «ships-rails» (the ship's threshold) the risk of loss/ownership transfers to the buyer (importer). The buyer must pay for all transportation and insurance costs from that point, and must clear customs in the country of import. An FOB transaction will read «FOB, port of export». For example, assuming the port of export is Boston, an FOB transaction would read «FOB New York». If CIF is the Customs valuation basis, international freight and insurance must be added to the FOB value. The seller (exporter) is responsible for clearing the goods for export, delivering the goods past the ships rail at the port of shipment and paying international freight charges. The buyer assumes ownership/bears risk of loss once the goods cross the ship's rail, and must purchase insurance, unload the goods, clear customs, and pay for transport to deliver the goods to their final destination. If FOB is the Customs valuation basis, the international freight costs must be deducted from the CFR price. The seller (exporter) is responsible for delivering the goods onto the vessel of transport and clearing Customs in the country of export. He is also responsible for purchasing insurance, with the buyer (importer) named as the beneficiary. Transfer of ownership takes place as the goods cross the ship's rail. This if goods are damaged or stolen during international transport, the buyer owns the goods and must file a claim based on insurance procured by the seller. The buyer must clear customs in the country of import and pay for all other transport and insurance in the country of import. CIF can be used as an Incoterm only when the international transport of goods is at least partially by water. If FOB is the Customs valuation basis, the international insurance and freight costs must be deducted from the CIF price. A CIF transaction will read CIF, port of destination. For example, assuming that goods are exported to the port of Novorossiysk, a CIF transaction would read «CIF Novorossiysk». The seller (exporter) clears the goods for export, delivers them to the carrier and is responsible for carriage costs to the named place of destination. Transfer of ownership occurs once the goods are transferred to the carrier and the buyer must insure the goods from that time on. If FOB is the Customs valuation basis, the international freight cost must be deducted from the CPT price. The seller transports the goods to the port of export, clears Customs, and delivers them to the carrier. From that point transfer of ownership shifts to the buyer. Seller is responsible for carriage and insurance costs to the named place of destination. The buyer is responsible for all costs, and bears risk of loss from that point forward. If FOB is the Customs valuation basis, international freight and insurance costs need to be deducted from the CIP price. The seller (exporter) is responsible for all costs involved in delivering the goods to the named point and place at the frontier. Transfer of ownership takes place at the frontier. The buyer must pay the costs and bear the risk of unloading the goods, clearing Customs, and transporting the goods to the final destination. If FOB is the Customs valuation basis, the international insurance and freight costs must be deducted from the DAF price. The seller (exporter) is responsible for all costs involved in delivering the goods to a named port of destination. Upon arrival, the goods are made available to the buyer (importer) on-board the vessel. Therefore, the seller is responsible for all costs/risk of loss prior to unloading at the port of destination. The buyer (importer) must have the goods unloaded, pay duties, clear Customs and provide inland transportation & insurance to the final destination. The seller (exporter) is responsible for all costs involved in transporting the goods to the wharf (quay) at the port of destination. The buyer must pay duties, clear Customs, and pay the cost/bear the risk of loss from that point forward. If FOB is the Customs valuation basis, the international insurance and freight costs, in addition to unloading costs, must be deducted from the DEQ price. The seller (exporter) is responsible for all costs involved in delivering the goods to a named place of destination where the goods are placed at the disposal of the buyer. The buyer (importer) assumes ownership/risk of loss at that point and must clear Customs and pay duties and provide inland transportation and insurance to the final destination. The seller (exporter) is responsible for all costs involved in delivering the goods to a named place of destination and for clearing Customs in the country of import. Under a DDP Incoterm, the seller provides literally door-to-door delivery, including Customs clearance in the port of export and the port of destination. Transfer of ownership occurs when the goods are delivered to the buyer, usually at his premises. Thus the seller bears the entire risk of loss until goods are delivered to the buyer's premises. A DDP transaction will read «DDP named place of destination». For example, assuming goods imported through St. Petersburg are delivered to Moscow, the Incoterm would read «DDP, Moscow». If CIF is the Customs valuation basis, the costs of unloading the vessel, clearing Customs, and delivery to the buyer's premises in the country of destination including inland insurance, must be deducted to arrive at the CIF value. * Natural gas is converted to barrels of oil equivalent using a ratio of 5,487 cubic feet of natural gas per one barrel of crude oil. This ratio is based on the actual average equivalent energy content of Total's natural gas reserves. = 6.6-8.0 bbl. of crude oil with 7.333 bbl. 1 kg. = 2.20462 lb. 1 cwt                   = 112 lb. Are weights in air, which is the correct basis for computing? That the LPG is either refrigerated or pressurized. Rich Gas = natural gas having a gross calorific value of 41,868 kJ/m3. THIS SITE IS PROVIDED BYBCM GLOBAL TRADER ON AN "AS IS" BASIS. NO REPRESENTATIONS GUARANTEES OR WARRANTIES OF ANY KIND, EXPRESSED OR IMPLIED, AS TO THE OPERATION OF THIS SITE, THE INFORMATION, CONTENT, MATERIALS OR PRODUCTS OR SERVICES THAT MAY BE INCLUDED ON THIS SITE(S) ARE MADE.BCM GLOBAL TRADER WILL NOT BE HELD LIABLE FOR ANY DAMAGES OF ANY KIND ARISING FROM THE USE OF THIS SITE, THE ACQUISITION OF ANY COMMODITY, OR OTHER SERVICE PROVIDED, OR AS A RESULT OF ANY GUIDANCE AND/OR ANY CONSULTATION WITHBCM GLOBAL TRADER OR ONE OF ITS SISTER SITES. THIS INCLUDES BUT IS NOT LIMITED TO DIRECT, INDIRECT, INCIDENTAL, PUNITIVE AND CONSEQUENTIAL DAMAGES. BE ADVISED THAT IT IS YOUR RESPONSIBILITY TO CONSULT WITH YOUR ATTORNEY AND/OR LEGAL REPRESENTATIVE BEFORE ENGAGING IN ANY TYPE OF TRANSNATIONAL TRANSACTION. IT IS RECOMMENDED THAT YOU SEEK AND OBTAIN THE ASSISTANCE OF A PROFESSIONAL TO ASSIST YOU AND GUIDE YOU THROUGH THE ENTIRE PROCESS. BE FURTHER ADVISED THATBCM GLOBAL TRADER RESERVES THE RIGHT, BASED ON ITS OWN DISCRETION TO FOLLOW UP ON ANY PROSPECTIVE INQUIRIES MADE BY ANY PARTIES. BCM GLOBAL TRADER HAS A STRINGENT COMPLIANCE AND DUE-DILIGENCE PROCEDURE AND UNDER SUCH GUIDELINES IT RESERVES THE RIGHT TO PROCEED WITH ANY INQUIRY OR NOT. BCM GLOBAL TRADER IS NOT UNDER THE OBLIGATION OR DUTY TO FOLLOW UP WITH ANY PROSPECTIVE INQUIRIES UNLESS IT DOES SO AT ITS OWN DISCRETION. Please read carefully the following terms and conditions of use, a legal agreement between you ("User") andBCM GLOBAL TRADER . Welcome to the BCM GLOBAL TRADER site. The following terms and conditions (the "Agreement") govern any viewers, users or visitors-i.e., your use of the Site. Please read this agreement carefully and be advised that your use of this site or any other sites owned and operated by BCM GLOBAL TRADER constitutes your acceptance of the terms and conditions of the Agreement and your consent to be bound by the Agreement. Please note that from time to time, and without any notice to you, we reserve the right to revise or modify the Agreement with certain additions, deletions or changes. Your future usage of our Site(s) following any changes constitutes your acceptance to be bound by such a revised or modified Agreement. Unless otherwise agreed upon in writing, this is the only Agreement between you and BCM GLOBAL TRADER . You agree to read the entire agreement(s) before using this Site. You must accept its terms and conditions as they are binding. If you do not accept the terms, you may not access or otherwise use this Site or any other Sites owned or operated by BCM GLOBAL TRADER . If at any time, a provision or portion of the Agreement is demonstrated to be unenforceable, that particular part will be deemed void but will not affect the validity of the remaining provisions. All contents included in this Site, including but not limited to, text, graphics, images, designs, photograph(s), software, as well as the compilation of all the content and the way it is arranged, is the property of BCM GLOBAL TRADER and protected by all applicable United States and International infringement and copyright laws. You do not acquire any ownership rights to the content or material available on this Site. Any reproduction, modification, distribution, republication or transmission of the contents on this Site, or any other Site owned or operated by BCM GLOBAL TRADER or any derivative work or developments from any of the contents of this Site or any other Sites owned or operated by BCM GLOBAL TRADER is strictly prohibited. You acknowledge that your use of this Site, or any other Site owned or operated by BCM GLOBAL TRADER is done at your own risk. The Site(s) may contain errors, problems or may have been infiltrated by a virus or bug. It may have other problems or limitations.BCM GLOBAL TRADER does not warrant that the functions contained in the Site(s) or any materials or content contained therein will be uninterrupted or error free, that the defects will be corrected, or that the site(s) or the server that makes it available is free of any harmful components.BCM GLOBAL TRADER assumes no liability or responsibility for any damages arising from your use of this site(s). In no event will BCM GLOBAL TRADER be held liable to any given party for direct, indirect, special, incidental, consequential, or any other types of damage for any use of this Site, or any other Site owned or operated by BCM GLOBAL TRADER , including without limitation, any lost profits, business interruption, harm to equipment or otherwise. Links that lead to other companies or sites that are not affiliated to BCM GLOBAL TRADER are not to be regarded as product or service endorsements.BCM GLOBAL TRADER does not in any way control the content in the links. Any concerns should be addressed to the particular Sites in question. As a user, you represent that you will not engage in actions that may be harmful to the Site(s). You agree that this agreement will be treated as though it were executed in the State of MONTREAL,QUEBEC, and will be governed by and construed in accordance with the laws of the United States of America and the State of MONTREAL,QUEBEC. Furthermore, that any conflict arising from the use of this site will be resolved by arbitration in the State of MONTREAL,QUEBEC according to the rules of the American Arbitration Association and MONTREAL,QUEBEC law. All content, pages and materials displayed on this Internet site, and any other materials list, or any additional information provided to you through this site or obtained from a BCM GLOBAL TRADER representative, by email or fax, including any other materials in any site(s) owned or operated by BCM GLOBAL TRADER , including but not limited to the text, images, audio and /or video, including software, but not limited to any images or files incorporated in or generated by the software or data accompanying such software either is the property of BCM GLOBAL TRADER and are also protected by United States and international copyright and trademark laws. The compilation of all aforementioned materials comprised in this site or any other sites owned and operated by BCM GLOBAL TRADER are the exclusive properties of BCM GLOBAL TRADER and are protected by the United States and international copyright laws. Any infringement will cause BCM GLOBAL TRADER to seek the proper remedies immediately and without hesitation. You are strictly prohibited from copying, reproducing, republishing, reprinting, modifying, adapting, exhibiting, translating, distributing, transmitting, uploading, posting, selling, publicly performing, reverse engineering, disassembling, or in any way exploiting any of the materials in whole or in part, except as needed by your counsel of financial adviser on a need to know basis only, and provided you keep intact all copyright and other proprietary notifications and intellectual property belonging to BCM GLOBAL TRADER . Any unauthorized use of these materials may violate copyright laws, trademark laws, the laws of privacy and publicity, and communications regulations and statutes, and may subject the violator to criminal penalties. The trademarks, logos, and service marks collectively referred as the "Trademarks" displayed on this site or any other sites owned or operated by BCM GLOBAL TRADER are registered, pending, registered, or unregistered Trademarks ofBCM GLOBAL TRADER . A user of this site may not use any of BCM CONSULTANTS's Trademarks, Service marks or designs. Moreover a user may not use any such Trademarks or Service Marks in any manner that is likely to cause confusion among customers, dilutes the Trademarks, or in any manner that disparages or discredits the standing of BCM GLOBAL TRADER . You are also advised that BCM GLOBAL TRADER will aggressively enforce all of its intellectual property rights to the fullest extent of all applicable laws. This Site and all sites owned and operated by BCM GLOBAL TRADER are controlled by its respective owners from its offices located in the State of MONTREAL,QUEBEC, United States of America. It can be accessed from all fifty states, as well as from all countries in the world. As each of these places has laws that may be different from those of the state of MONTREAL,QUEBEC, by accessing this site both, you and the Owner, agree that the statutes and laws of the state of MONTREAL,QUEBEC, without regard to its conflicts, will apply to all matters arising out of, or relating to, use of this Site and/or any other sites owned and operated by BCM GLOBAL TRADER and this user agreement. You further agree that any action to enforce this User Agreement, or to resolve any dispute arising from, or related to your visit to or use of this site or any other site owned and operated by BCM CONSULTANTS,LLC , will be submitted to final and binding arbitration before one arbitrator in the State of MONTREAL,QUEBEC, in accordance with the procedural rules of the American Arbitration Association and MONTREAL,QUEBEC law. All suggestions, feedback, ideas or information that you may communicate to the Company through this Site or otherwise submitted or offered in connection with your use of this Site or the business opportunities we offer (collectively "Submissions") will forever be the property of BCM GLOBAL TRADER.BCM GLOBAL TRADER will have exclusive ownership of all present and future existing rights to the Submission of every kind everywhere and will be entitled to use the Submission for commercial purposes. You acknowledge that you are and will remain solely responsible for the Submission, including its legality and appropriateness. In addition, you acknowledge that any Submission you make does not violate any rights of any third parties, including, but not limited to, personal or proprietary rights. This Agreement is effective and in full force until terminated by either you or BCM CONSULTANTS,LLC . BCM GLOBAL TRADER, LLC may terminate this Agreement at any time and without notice, as well as deny you access to this Site, if in BCM CONSULTANTS' sole discretion you fail to comply with any term or condition of this Agreement. You may also terminate this Agreement at any time. Upon termination by either party, you agree to destroy promptly all materials, including all copies thereof, downloaded or otherwise obtained from this Site or any BCM GLOBAL TRADER representatives. Payment by Fully Funded Letter of Credit Irrevocable Transferable and Revolving from prime bank for the whole quantity of the contract period with a minimum of 12 months payable 100 % automatically each month upon reception and verification of the shipping document for each vessel. This option requires from the seller a 2% Performance Bond. Price also is confirmed for the contract period. Payment by conditional MT 103-23 shipment by shipment, covering only the cost of one shipment payable 100% Cash Wire transfer against receipt and verification of Shipping Documents for each vessel. This option does not require from the seller a 2 % Performance Bond because this option normally is used for spot deal contract or contract of minimum 12 months but with payment for each shipment. The price is not confirmed for the contract period of 12 months in case the buyer chooses to sign a long term contract with a payment per shipment. Each month, BCM will send the price for every new shipment because of the world market price. In 1992, the Group that we work with in Brazil became the major shareholder of this textile plant facility in Brazil. Almost extinct at the time, the industry was quickly rebuilt and its infrastructure revamped. The world's most modern air jet loom machinery from the Tsudakoma Company was installed, as well as Jet Spine and Open End spinning machines. Equipped with the most advanced technology, our textile factory recently received the ISO 9002 certification. The plant is one of the country's main producers of bedsheet and tablecloth fabrics. It supplies mainly the market demand of São Paulo and Mercosur.